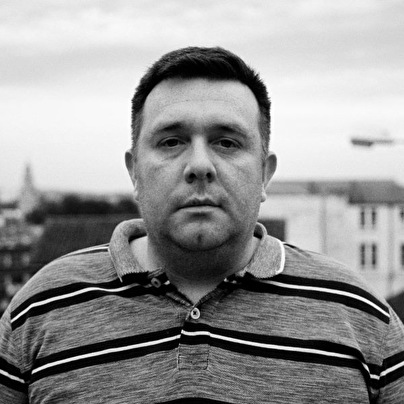 Slimzee, co-founder of Rinse FM, member of the legendary Pay As U Go Cartel, owner of the foundational Slimzos Recordings and commonly referred to as the Godfather of Grime — born in East London, raised through the ranks of pirate radio and eventually shooting to prominence alongside the likes of Dizzee Rascal and Wiley at the turn of the millennium. UK garage was booming — acts like Luck & Neat, B-15 Project and The Artful Dodger were dominating the charts. But the underground was becoming restless. Young DJs and producers on the capital's council estates, increasingly disillusioned with the glitz and glamour that had taken over the garage scene, began favouring harder, sparser beats designed for their MC friends to spit over. Established garage DJs handled the new sound with caution but Slimzee, an avid drum & bass fan, embraced it wholeheartedly. At first the producers could barely keep up — Slimzee stunned onlookers by spinning slowed-down D&B records to fill the gaps — but before long, wave after wave of young producers were creating beats in the hope that Slimzee would play them. "Grime" was born. The following years saw the garage scene crumble, with grime and its MC-led culture coming to the forefront. Slimzee birthed the short-lived but legendary Slimzos Recordings, releasing early material from the likes of Plastician, Geeneus and Agent X. Street stars like Dizzee and Wiley signed major deals, the former seeing his debut album Boy in da Corner nominated for a Mercury Prize and earning Slimzee a gold disc for his part in the process. The very lineage of UK underground music can be traced back to specific Slimzee sets: ask any grime fan to name their favourite musical moments and you can bet your house on his name being mentioned. Some of the most iconic tracks of the 2000s — including Youngstar's era-defining Pulse X — were discovered and forced into the public consciousness by Slimzee. Fast forward to 2014 and Slimzee is regarded as one of the UK's true underground heroes, still calmly demolishing clubs around the world with a trademark high-energy mixing style that inspired a whole generation of young DJs. With an unrivalled library of custom grime dubplates and rare classics, combined with a perpetual hunger for fresh, forward sounds, nobody in the world can deliver a set like Slimzee.